When I decided to change my diet, the main reason was to lose weight. Before LCHF, I had exercised regularly for a couple of weeks after a few months of very little work out. I expected to be slower on LCHF, but I did not expect to be this slow! First of all, the diet is called LOW CARB, not NO CARB. That means it is ok to eat some carbs. Guidelines for the daily intake vary from 5-50 g carbs. I usually eat no more than 20 g a day and that works for my weight loss. Others claim that they get sugar cravings and stop losing weight if they eat more than 5 g, so I guess it is very individual. Personally, I am happy that I can eat a bit more because I would not want to miss the veggies and the milk in my morning coffee. However, you should stay away from starchy foods like potatoes and carbs based on white meal. Of course, sugar is a no go! LCHF, short for Low Carb High Fat, is a ketogenic diet. I am not a nutrionist, but put simply, carbs are turned to glucose by the body, which brings ups and downs in the blood glucose level. 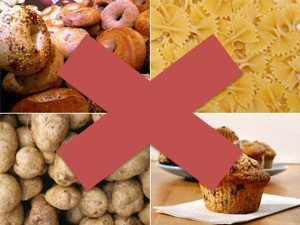 Without carbs, blood glucose will remain constant, usually on a lower level than on a carb-diet. Glucose is also the easiest source of energy for the body to burn, so these will be consumed first. If carbs are reduced in the diet, like in LCHF or other low-carb diets, the body is forced to burn fat instead. The liver uses the fat to produce ketone bodies, which replace glucose as the main energy source. Obviously, this diet is quite controversial as it contradicts with most current dietary advice. Especially the high levels of fat scare people off. Sometimes people tell me how unhealthy it is to eat as much fat as I do and that my arteries will be blocked by all the fat. In fact, there are no long-term studies proving this. LCHF-advocates talk about others being fat-scared, which is understandable after years of diet recommendations telling us to avoid fat. I was (and still am) very concerned about this, but I feel great and my body is healthy. Yet, I would not recommend anyone to eat this diet without regular health checks, especially not until there is more facts about the long-term effects of eating LCHF. This blog is about me, LCHF and weight loss. I am 26 years old and live in England. When I first moved to the UK in 2010, I started to gain weight. It was busy times with loads of work and little time for work outs. After 6 months and almost a stone more, I decided to change my diet. I read a lot and came across LCHF. LCHF has received much criticism, but it also seems to work very well for many people who want to lose weight. Now I have been eating LCHF for almost 4 weeks and I am already starting to see results. 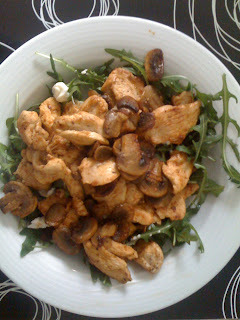 On this blog, I will post my weight loss results, LCHF recipes and my thoughts on this way to eat. Join me on my LCHF journey in the UK!